Albert Michelson was a brilliant scientist. He had already determined the most accurate description of the speed of light (at that point in time). However, he wanted more; hence, he decided to determine if the medium of light existed. This medium was known as ether. Scientists assumed that light and other electromagnetic waves must have some medium just like other waves. Water waves are the motion of water molecules; this can clearly be seen by anyone who visits the beach. Another wave well known to science is sound waves; their medium is air. They create differences in pressure which result in human hearing. Look at the driver of a speaker, preferably the subwoofer (that is the big one), as it moves back and forth, it creates a motion of the air around it. As such, it only seemed natural that light must too have a medium. Ether was that medium. Scientists theorized that ether was everywhere, all throughout space. Yet, because of the high speed to which light was theorized to move, by James Clerk Maxwell, this meant that it must be harder than steel so as to accommodate this speed. At the same time, even though it was all across space, it did not affect the movement of the planets, or any other objects in space for that matter. So this ether moved in such a way that as it crossed paths with the orbiting earth one could describe an ether wind, meaning that at one point a beam of light traveling in a fixed direction on earth would be parallel with this wind and at another point it would be perpendicular. This, in theory, would change the speed of the light. This idea became the principle for the experiment Albert Michelson would design. 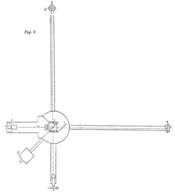 In 1881, Michelson created a small version of his experiment, the apparatus became known as the Michelson Interferometer. This smaller version was horrifically susceptible to outside vibrations, which ruin his experiment, as such, this made any possible data he could hope to achieve useless. Thus in 1887, with the help of a well-known chemist and experimenter, Edward Morley, he created a much larger version of his original design. The Interferometer was comprised of a light source, two mirrors, a partially silvered mirror (it let some light through and reflected some), and a detector. The device started with the light source, this was mounted on a sandstone slab five meters from it was the partially silvered mirror, this was placed on an angle to allow some of the light to reflect up five meters to one mirror, and allowed some light to go through to the other mirror, also five meters away. Both mirrors were at a right angle to one another. This meant that as the ethereal wind passed across the device, if properly aligned, one beam of light would be moving parallel to the wind, and one would move perpendicular to it. As the two beams of light created by the partially silvered mirror reflected off the two mirrors they would come back to the middle and recombine by way of the partially silvered mirror, thus the two beams would create inference and together head down to the detector. Based on the inference pattern this would allow the team of Michelson and Morley to determine which beam was parallel to the ether and which was perpendicular to the ether, or if the ether even existed. As mentioned, the vibration of the outside world caused massive problems for Michelson the first time he tried his experiment. Thus, when he created this new version it was to be 'rock' solid. The team started by basing the experiment in the basement of the Case Institute in Cleveland, then an octagon made of brick was laid; inside of this was a cast-iron trough. Inside of the trough was the key ingredient to the experiment working, liquid mercury, this allowed for the easy movement of the sandstone top, to test against the different currents of the ethereal wind. A pin was also used to keep the top in place when they had to set it to run a test. This pin bared no weight as to avoid disruptions from it. The team of scientists hypothesized that based on the direction of the ether the inference pattern seen would change. If the ether did exist almost every time they should see an inference pattern with a dark spot in the middle, and only once, should there be a time that a pattern with a light spot occurs. The light spot should have appeared only when both light beams were at the same angle to the ether. This is because of the movement of the ether. As the one beam splits into two at the partially silvered mirror, the ether wind will be moving across the interferometer. That means the beam that moves perpendicular to the ether, named beam A, will have to cover less space to get back to the middle. Its movement will be like a triangle as it goes up the ether moves along, it appears to stay straight, but it must 'travel' with the ether. The other beam, beam B, must at first move again the 'current' of the ether causing it to 'travel' a greater distance, on the way back it is being carried by the ether thus helping it to move faster. Because beam A had less distance in ether to cover this allowed it to arrive before beam B. One can think of these two beams as swimmers in a river. The swimmer who is beam A goes up to one bank of the river, but to stay in a straight line against the current he must move at an angle, yet to the outside observer he appears to be moving straight. The beam B swimmer first must fight hard against the current to reach his destination but on the return trip, he can swim much slower for he has the current to carry him. Now, that was the hypothesis of the experiment. When Michelson and Morley first attempted the experiment, they took readings at around noon and what they described was about six o'clock in their paper. Each time they would take readings, they would move the slab to make sure that they had both beams A and B moving different ways against the flow of ether. They could measure the presence of the ether and the speed with which the light traveled with it based on the fringe shifts in the inference pattern. The predicted fringe shift was .4 wavelengths. This means that a dark spot world occur in the middle of the inference pattern because the two beams would be .4 wavelengths out of sync with each other. With all this build up to the experiment and the expected result by Michelson and Morley, something amazing happened. When they tried, the experiment there was no shift. There was a bright spot in the center of the inference pattern. No matter how they moved the sandstone, the result was always the same. They tried at different times during the year, and the result was the same. No matter what they did every time they reached the same conclusion of a null answer. To point out, they did in fact see some shift, but it was very small compared to what they expected. It was most likely cause by some vibration. This result meant that the movement of light is constant. The two beams spilt and came back together to create an inference pattern with constructive inference. Michelson could not believe that this was the result. They both tried and tried but to no avail, their experiment had failed to detect the presence of an ether wind. Both scientists walked away from the experiment, but the results shocked the physics community. Many tried to find a way to describe why the experiment was wrong or, at least a reason for the result. Michelson moved on in his life to other experiments, but for the rest of his life would never accept that ether did not exist. For physics, this allowed a new age to dawn. This result opened the door for Einstein's theory of relativity. Because the Michelson-Morley experiment showed that light moved at a constant speed, Einstein thus devised a thought experiment. In the experiment he was riding a light wave, basically moving a the speed of light, at the same time he saw another light wave, yet, in his mind, he did not see the light wave not moving, as classical physics describes, but instead he saw the second wave moving at the speed of light. This meant to him that if he saw the second beam as stationary the speed of light would not be constant and instead would depend on the observer. Yet, that answer is not possible based off Maxwell's equations about electromagnetism. Thus special relativity was born. Albert Michelson set out to prove the long held principle of ether. Instead, he turned physics on its head. Through his 'failed' experiment, modern physics was created. It only seems fair to think of who will be the next Michelson and Morley creating yet another mind-blowing realm of science with a bust of an experiment. Works CitiedJournals:Michelson, Morley. "On the Relative Motion of the Earth and the Luminiferous Ether." The American Journal of Science 34(1887): 333-345. Encyclopedia:"Maxwell, James Clerk." Encyclopedia Britannica. 2008. Encyclopedia Britannica Online. 13 Mar. 2008 . "Michelson, A.A.." Encyclopedia Britannica. 2008. Encyclopedia Britannica Online. 13 Mar. 2008 . "Michelson-Morley experiment." Encyclopedia Britannica. 2008. Encyclopedia Britannica Online. 13 Mar. 2008 . "Morley, Edward Williams." Encyclopedia Britannica. 2008. Encyclopedia Britannica Online. 13 Mar. 2008 . "Relativity." Encyclopedia Britannica. 2008. Encyclopedia Britannica Online. 13 Mar. 2008 . WriteWork contributors. "The Michaelson-Morley experiment" WriteWork.com. WriteWork.com, 08 May, 2008. Web. 23 Apr. 2019.